NEW YORK, NEW YORK, USA, July 12, 2018 /EINPresswire.com/ -- IT Governance USA is pleased to launch its EU Representative Service, to help US organizations comply with the EU General Data Protection Regulation (GDPR). The GDPR came into effect on May 25, 2018, replacing national data protection laws across the EU with a single data protection law for organizations to comply with. However, the GDPR’s scope extends beyond Europe, applying to any organization that offers goods and services to, or monitors the behavior of, EU residents. This includes e-commerce sites that have web pages in a European language and take payments in an EU currency, and behavioral-based advertising to EU residents. The EU Representative Service provides an EU representative for organizations without a physical presence in the EU, helping them adhere to Article 27 of the Regulation. 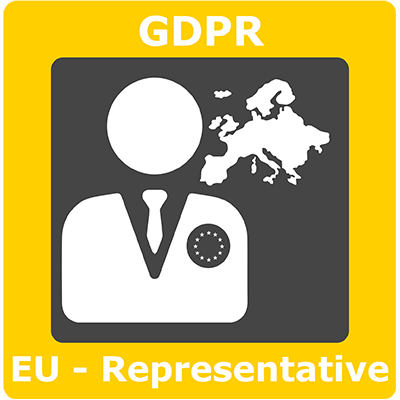 The representative will receive inquiries and complaints from individuals (data subjects), cooperate with regulatory authorities, and hold a record of processing activities, but is not responsible for the organization’s GDPR compliance. The EU Representative Service is an annual subscription service. Speak to our sales team, servicecenter@itgovernanceusa.com for more information. IT Governance offers an extensive range of products and services to help organizations meet their cybersecurity requirements. For further assistance, visit the IT Governance USA website, email servicecenter@itgovernanceusa.com, or call +1 (877) 317 3454.